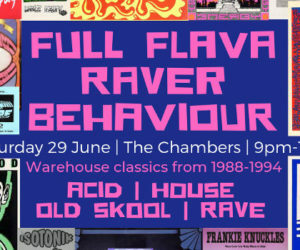 Full Flava Behaviour returns to The Chambers Folkestone for a special warehouse limited edition 🙂 Only for the headstrong – you know the score! 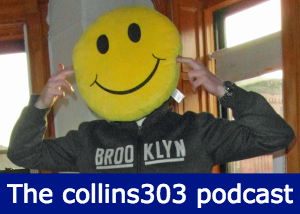 Come join collins303 and the Country Cockney for a night of warehouse classics from the classic rave era 1988-1994… here at The Chambers, down by the sea! 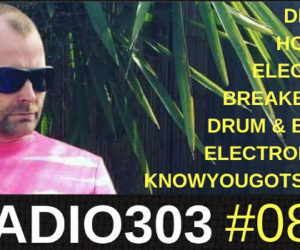 We’ll be serving up a quality serving of classic house, techno, breakbeat and old skool plus some new tunes inspired by these great times – the finest rave ingredients are all in the mix! The Chambers is the top destination for music lovers in and around Folkestone, with a rich heritage of excellent live music and diverse DJ nights. There’s a great selection of beers and ciders on tap and lovely food served until 9 – guaranteed friendly party atmosphere and vibes!